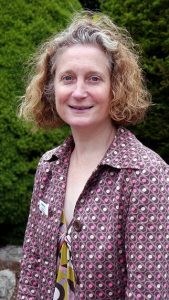 Our Chief Executive, Thalia, explains why Healthwatch Bucks is signing the time to change pledge. Mental Health is one of our priorities at Healthwatch Bucks. We work to keep people’s experience of mental health services in Bucks at the top of the agenda. And we do projects to help providers improve their services. Our most recent project looked at the experiences of those who self-harm when they went to Accident and Emergency. We also want to help break the silence and end the stigma around mental health – and where better place to start than our own organisation. And that is why we are signing up to the Time to Change Employer Pledge at our board meeting in February. 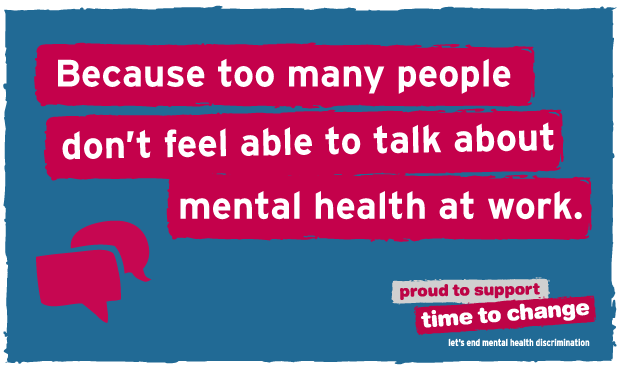 One in four of us will be experiencing a mental health problem at any one time. Nine in ten people who have experienced a mental health problem have been treated badly as a result. Time to Change is England’s biggest programme to challenge mental health stigma and discrimination. And we wanted to be part of doing that. To sign up, we had to put together an action plan. And as a small organisation I wondered whether we would have enough resources to do it – but it wasn’t difficult – and we were able to highlight some small changes that would make a big difference and help us get talking about mental health as an organisation. For example, we’ve amended our performance review processes to include a discussion about what keeps staff healthy and happy and we have introduced training for all staff on mental health awareness. Time to change signed off our action plan. I am really pleased we have done this and would encourage all organisations regardless of size to sign up. As CEO of Healthwatch Bucks, I want our organisation to be a great place to work – and being able to talk about all aspects of wellbeing is an important part of that.